I'm cheap. Unless this is your first time here, I think this has been well established. I want healthy, natural products (and an occasional Oreo to balance things out), but for the most part, price will be my motivation. Thankfully, with very few exceptions, healthy and natural tend to cost less when you make them yourself. Then there's the time/money factor. Some things are cheaper when you make them yourself, but then you spend all day making them. Who has time for that? I like to balance both time and money (hence why I became the Busy Budgeter). I need to save both time and money with my substitutions. 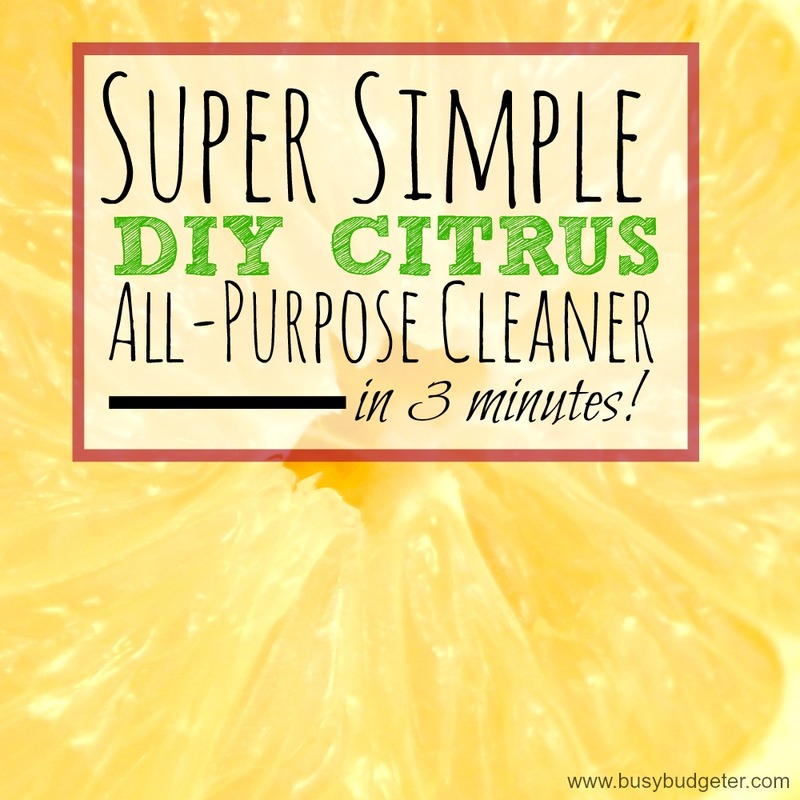 That's why my Super Simple DIY All Purpose Cleaner is such a win! It saves you both time and money! Plus it's healthy and natural! 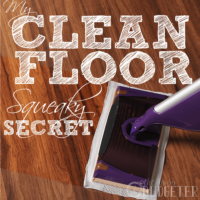 I seriously can't think of any reason in the world why everyone doesn't make their own cleaner. It takes just minutes to mix up, saves room in your stockroom (you do have a stockroom, don't you?) 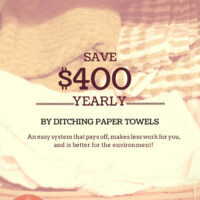 and it costs less to make than a comparable cleaner! 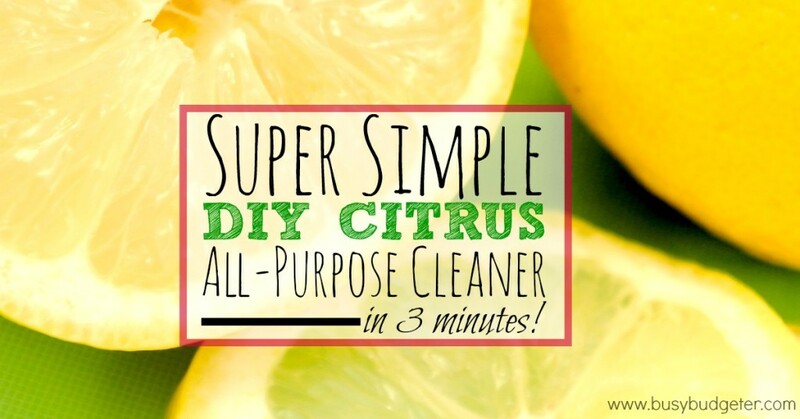 This super simple cleaner takes just a moment to mix up and costs less than the grocery store version! It's all natural and makes your home smell amazing. Mix water and vinegar together. Slowly stir in baking soda. 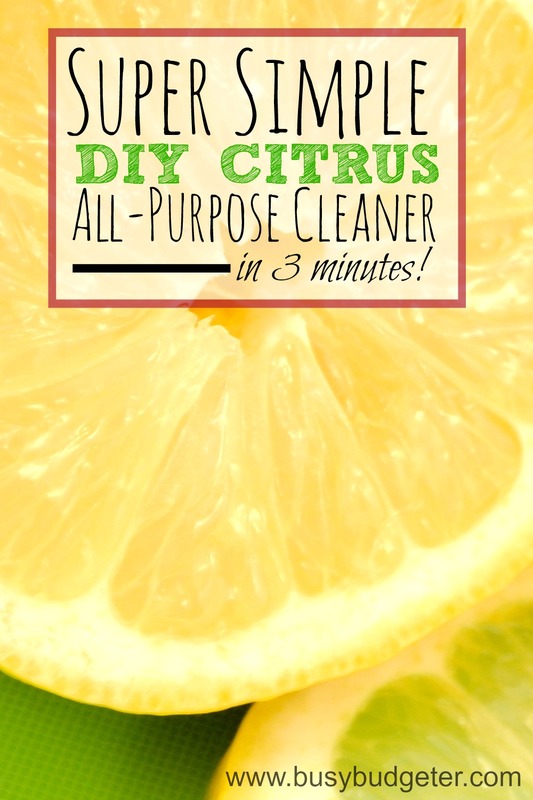 Once baking soda is dissolved into water/vinegar mixture, add Tangerine and Lemon essential oils. Pour into spray bottle carefully (or use a funnel). We started with a spray bottle that we bought at Dollar Tree and it worked great for about 3 months. Then broke. All 3 of them (we have one bottle on every level of our town house) broke within a month of each other actually. We ended up getting commercial spray bottles from amazon, which have been working great for over a year now. I've also heard great things about the spray bottles in the mop section of Walmart, but I could never find them in my Walmart. 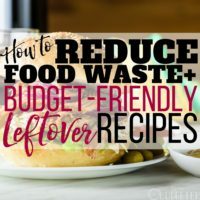 There are so many other DIY products to save time and money though! You may also be interested in my Pinterest board “DIY Beauty Products”, since I add new “recipes” as I find them. 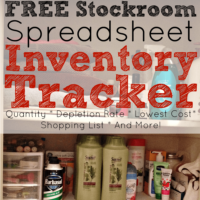 Hint: If you love keeping a stockroom, but are short on space, DIY products are amazing! With just a few staples, you can create tons of DIY versions of your favorite products for less money. You'll even save time since it takes less time to mix them up than to drive to a store to buy them. Have you ever made your own beauty products? What did you make?